Mothly Postpaid Airtime Service for Iridium GO Devices. Iridium GO Plans offer the convenience of Iridium’s reliable, everywhere voice and data communications without the need to be concerned about a prepaid account expiring or having a low balance. Iridium GO Plans offer the convenience of uninterrupted service without having to manage usage. Whether you want satellite airtime service for a month or forever, we offer competitive Iridium GO Plans offer options to suit every need. 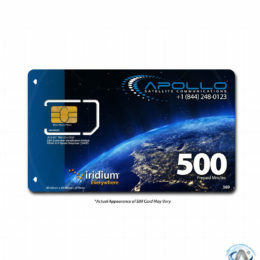 Apollo's monthly iridium Go plans, are great for those that just want to pay a low monthly rate, and pay as you go, or get the new Unlimited Data plan that gives you a limitless amount of data on the Iridium GO certified Applications only. The Monthly plans are also good for those that want or need monthly statements that breakdown all airtime use, and monthly service fees, such as businesses, or government that need these formal records. 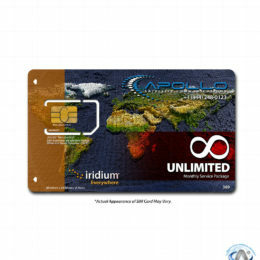 Iridium GO Plans SIM cards are unlimited; they does not expire while your contract is open. Unused minutes expire at the end of each month. You may add Rollover to keep unused minutes for a maximum of 36 Months. Iridium GO Plans in combination with the Iridium GO Satellite Hotspot provides worldwide telephone and data communication with a small handheld device. This unique product allows the customer to have both voice and data communications from virtually anywhere in the world including the oceans and poles. Iridium provides this service with a sixty-six LEO satellite constellation which provides seamless coverage virtually everywhere on the planet. Signup For Your Iridium Satellite Phone Plans Today!